Pre-Orders Close Soon for New MOTUC Figs! Pre-Orders are ending soon for several MOTU Classic figs. The Power-Con exclusive figures which are all Club Grayskull (read: cartoon) based end this Sunday, May 13th. They include Spikor, Uncle Montork & Dree Elle, and Chopper. Those that can’t make the show can still order the figures in advance and have them shipped. You can do that here: Power Con Tickets and Exclusives. On the Super7 front – orders for Stridor – The Heroic Armored Horse will end on Tuesday, May 15th. He’s due to ship around August 2018. You can place your orders for that here: Super7 Stridor Pre-Orders. Super 7 has opened up pre-orders for some new Masters of the Universe collectibles. 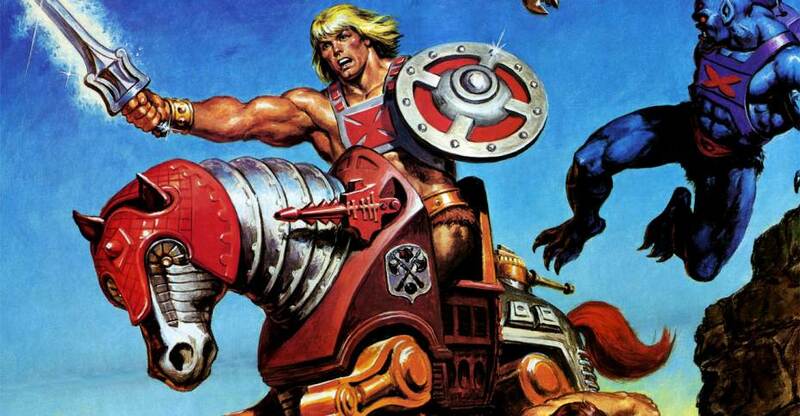 The first, which was expected, is the Masters of the Universe Classic Stridor. The robotic war horse comes with both the classic helmet, and a helmet based on the Night Stalker style helmets. Stridor is priced at $60. The second batch of pre-orders came as a surprise, and are for the new Masters of the Universe Vintage Collection. These come in “Epic Battle” 2-packs for $45, and include He-Man with Skeletor, and She-Ra with Hordak. 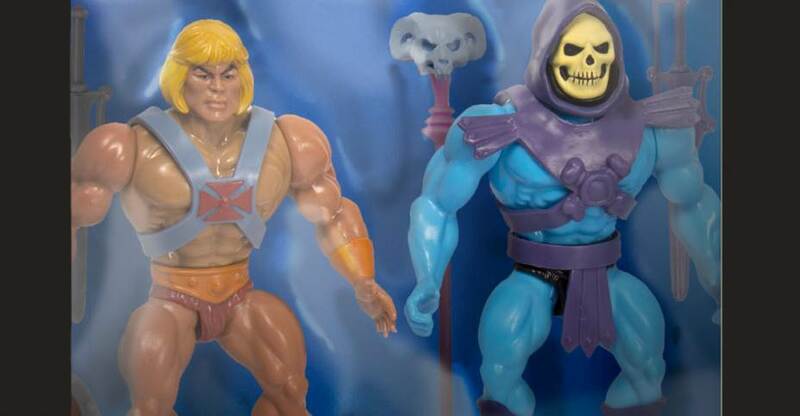 These new 5.5″ scale figures feature classic MOTU style designs. These pre-orders are set to be opened for a limited time. Pre-order links, details and photos can be seen after the jump. After a teaser earlier in the week, Super 7 has released the photos and details for their upcoming Masters of the Universe Classics Stridor! The 10″ tall robotic war horse features articulated legs and a removable mask. It will be priced at $60. There will be a very short pre-order window for Stridor, running from April 25th to May 16th. Read on to check out the photos, and see additional info direct from Super 7 below. The Masters of the Universe Collector’s Choice line continues with Stridor! By popular demand, Man-At-Arms’ cybornetic creation, the Heroic Armored Warhorse that carried the mighty Fisto into battle is finally coming to life! Now is your chance to tame the mighty steed before he gallops off forever. The Stridor pre-sale store link will be posted next Wednesday. 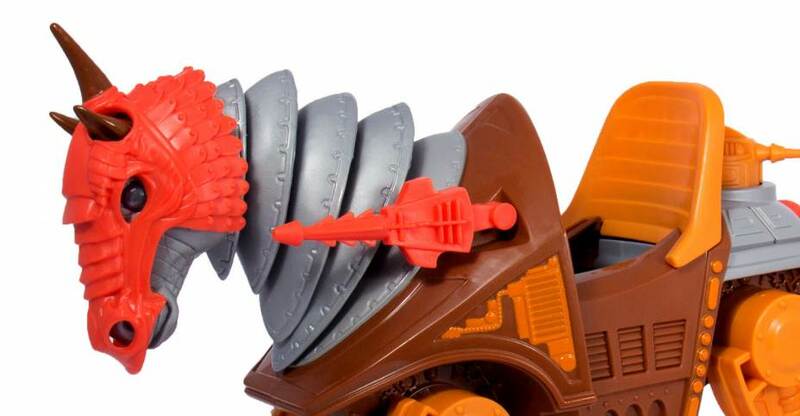 In a new teaser post, Super 7 has shared an image that sure looks to point to a Masters of the Universe Classics Stridor being released. According to the teaser post, Stridor will be revealed next week, though no specific day was given. 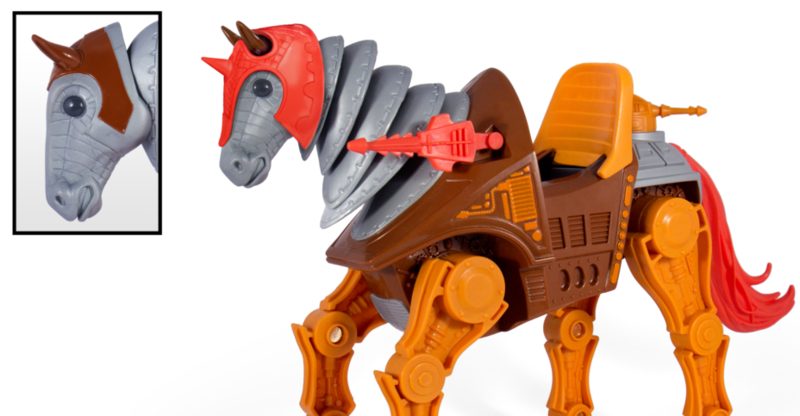 Fans of the original toy line, cartoon, and mini-comics will recall that Stridor was the robotic horse, which served as transportation for the heroes. With the original toy line, Stridor was repainted into Night Stalker. We will update when more photos and details are released. Read on for the teaser image.